“Stop using His presence as an accessory and start using it as a necessity.” As the words rolled off of the young minister’s tongue, it struck a chord within my heart. Stop using His presence, the presence of the Father through His Holy Spirit, as an accessory… Immediately my mind began to spin. 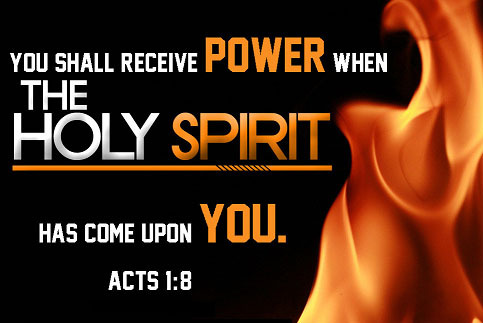 The Holy Spirit had grabbed my attention and He wanted me to remember those words. The entire next day, those words would not leave me alone. “Stop using His presence as an accessory and start using it as a necessity.” Was I guilty of placing a meager value on the Lord’s presence? Had I become so accustomed to His presence that I found it a commonality instead of a cherished possession? Even though I knew the basic definition of an accessory, I sought the guidance of Webster’s Dictionary for a further understanding. What I discovered, I did not like. An accessory, in the context of what the Lord spoke to the minister, is something of secondary or subordinate importance. It is something that is not really essential by itself, but adds to the wearer to make them more attractive. An accessory is something that can easily be taken off and stowed away until such time as it is needed at a later time. “But, Lord,” I thought. “Have I made Your presence of secondary importance?” As I meditated on the meaning of accessory, the Holy Spirit brought to memory those times when I would conveniently place His presence on the shelf. Though my mind’s eye, I saw myself casting Him to the side in order to do what I wanted instead of what He desired. Then, switching mental frames, I saw myself in church service wondering why I was not feeling His presence with the intensity that I yearned for. “You can’t have it both ways,” was gently spoken to my heart. In these last days, satan is throwing up some serious obstacles in an attempt to derail our forward progress. Now, more than ever, we must make the decision to put God first and foremost in our lives. This decision must be more than lip service. It must be a heart and attitude adjustment. He must become our necessity; someone who we cannot live without. Be blessed. You are absolutely correct. That is why I love Titus 2:11-12. Grace is our teacher. As a teacher, the Holy Spirit is constantly giving us little course corrections so that we may grow.